Healthy Communication: Need a medical interpreter? In England and Wales – where (according to the last 2011 census) an estimated 138,000 residents cannot speak any English – having access to a professional medical interpreter can mean the difference between life and death. Talking through an interpreter, Zahra, who like her husband, speaks no English, describes the stressful and worrying night she was rushed into hospital after a serious car crash with resulting chronic whiplash, and no Arabic-speaking medical interpreter was provided for her by the hospital. Eventually, her husband resorted to the help of a lawyer and we were requested to supply an English-Arabic interpreter for Zahra’s medical consultations and likely insurance compensation claim. However, for the first night, Zahra communicated by signs, as her only option, and was bewildered by the questions and information, adding to her sense of distress and pain. 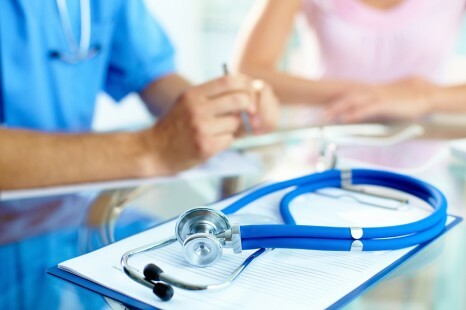 The answer to preventing these kinds of nightmares is establishing a direct communication network or governmental agency between interpreting agencies and all medical experts, to immediately connect with an available medical interpreter in an emergency situation, especially for uncommon immigrant languages and for low-income residents who may need financial assistance. A qualified and experienced medical interpreter is critical in any situation – in hospitals, doctor’s consultation rooms, courts, conferences etc – where the patient does not speak the native language of the medical staff. Being a medical interpreter is not just about being fluent in multiple languages but also having a vast knowledge of medical terminology the ability in those languages and being capable of accurately interpreting between languages so the patient received the proper medical care. It is to everyone’s benefit, the patient’s and the medical expert’s, to work with a trained medical interpreter. Trained medical interpreters and translators help healthcare providers and patients overcome language barriers. Its good if a hospital is providing medical interpreter. The interpreter must be expert in each and every medical terminology. These are helpful not only for healthcares but for patients . In the coming days it will become an inseprable part of hostipals.